TH-42PF11UK - ZTV BROADCAST SERVICES INC. The Panasonic TH-50PF11UK is a 42″ plasma display designed for the most demanding home theater and professional applications. It contains technology that improves color rendition, brightness and contrast while achieving new standards in power efficiency and functional lifetime. It can be used as the ultimate home theater display or as a panel for corporate presentations and commercial signage. The display features true 1080p resolution, on a high contrast panel. The multi-function slots support additional input boards such as BNC, Serial, RGB, and HDMI. 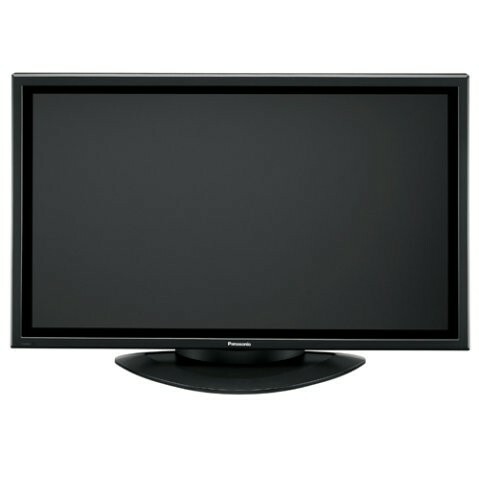 Panasonic plasma displays feature a new Advanced Dual Picture Mode in addition to the conventional Dual Picture Mode. This new mode lets you overlay a video image onto a full-screen PC image. For example, you can superimpose text information from a PC over a video clip, giving you a more effective way to present information. When displaying two separate images, you can select the audio output from either source (where previous models reproduced audio from the main source only.) Playing back the audio from the sub-source can be useful in teleconferencing. The TH-42PF11UK comes with standard analog video and computer connections along with audio capabilities. The user can customize this monitor for their specific needs with three option slots for specialty cards. There are digital cards that provide HDMI, SDI or HD-SDI. Another card adds additional computer connections. Still another will add a wireless PC interface. The front protective glass of the TH-42PF11UK display panel incorporates a deep black filter that suppresses light transmittance, dramatically reducing the amount of external light reflected. By reducing light when displaying blacks, the Panasonic Black Drive system provides deeper, richer shadows with a stunning 30,000:1 contrast ratio. The result is dramatically enhanced images with unsurpassed clarity and realism. The TH-42PF10UK has the ability to be displayed vertically. This feature is an essential component of any commercial or industrial display. Make life easy with a plasma sign. Not only will it gain more attention but it presents virtually limitless possibilities. Whether it’s a simple slide show or a motion advertisement, you can change them on the fly as often as you want. Multi-Screen Technology is an easy solution to a complex scenario. It allows the operator to choose a certain segment of the total frame, in normal increments. The result is an easy way to create large video walls. Simply tile multiple displays together in an array and choose corresponding areas of the frame. This will create the same effect as a normal video wall. Bravo! An advanced drive circuit and inner panel improvements give Panasonic plasma panels a long service life of approximately 100,000 hours even with their increased brightness. A recently developed phosphor also raises the plasma displays resistance to static-image screen burning to the same level as CRT displays. If the panel were used 6.5 hours every day, it would last more than 42 years!